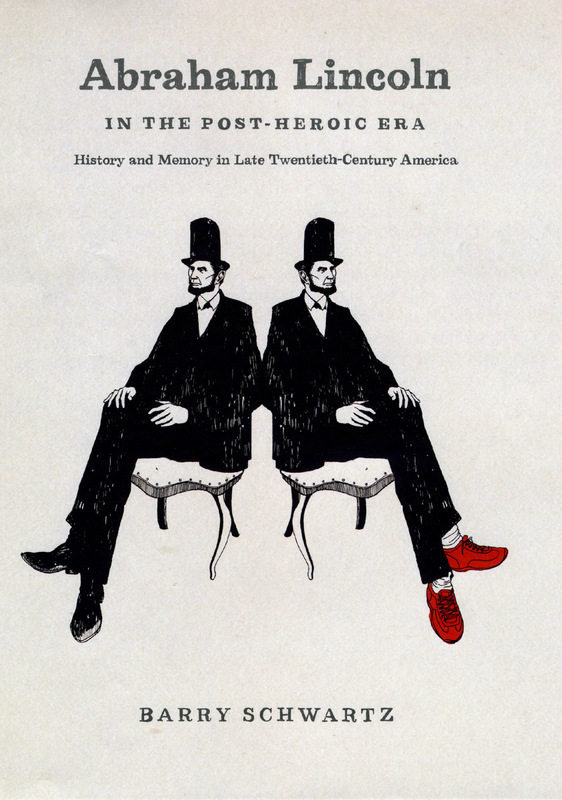 Ihighly recommend Barry Schwartz’s new book, Abraham Lincoln in the Post-Heroic Era: History and Memory in Late Twentieth-Century America (University of Chicago Press, 2009). There is an interesting section on the image of Lincoln during the Depression, which is a moment where, according to Schwartz his reputation had peaked only to decline following WWII. Schwartz not only surveys popular or institutional representations of Lincoln, but also tries to uncover the views of ordinary Americans. One of the more interesting sections is his analysis of how white Southerners viewed Lincoln from the turn of the twentieth century through the New Deal. Along the way, Schwartz mentions Thomas Dixon, D.W. Griffith, and Mary R.S. Andrews and a host of lesser-known writers. One of the most popular publications of Confederate nostalgia was Tyler’s Quarterly Magazine and in 1939 one of its contributors complained that “praises for Lincoln emanate in almost equal fervor from practically every section of America.” Not too long ago newspapers inquired as to why Southern states were not taking part in Lincoln Bicentennial events. Of course, anyone who bothered to look would have noticed that there are numerous events throughout the South which acknowledge in one way or another his importance to American history. In fact, Lincoln is getting much more attention than both Lee and Jefferson Davis. My guess is that the author of the piece was driven more by popular perception than any serious understanding of Lincoln’s place in our national memory. One of the reasons why I find the study of memory to be so intriguing is that it has the potential to surprise. I am constantly struck by the extent to which our assumptions about the past or the ways in which previous generations interpreted the past deviate from our own. We should be careful not to use those who came before as a means to our own ends. So, if you are a white Southerner who respects and admires Lincoln, it turns out that you are in very good company. Merrill Peterson also writes about how many white southerners like Woodrow Wilson and Henry Grady embraced Lincoln late in the late nineteenth century, while Tyler increasingly stood out as a cranky exception even in his native Virginia (until he died on Lincoln’s birthday). Both authors reinforce my view that the antipathy for Lincoln one readily encounters on the net is either affectation or in the case of DiLorenzo and his disciples really a rejection of the thrust of American history since the 1950s, using Lincoln as well as Davis and Lee as no more than convenient tools in an argument that really has little to do with Lincoln or the war. I think you are right Ken. Peterson’s book is well worth reading, but what I like about Schwartz’s approach is that he looks beyond the high profile figures and institutions and examines what ordinary Americans believe about Lincoln. Schwartz spends quite a bit of time on DiLorenzo and his crowd, which I am looking forward to reading. For some reason the security system on my computer will not let me access the comment section for Dr. Franklin, so I would like to make a comment here, if I may. As you have noted, Dr. Franklin was a tremendous scholar and a tremendous man. The world will be smaller place without him in it, yet his work will live on. I am truly glad that he lived long enough to see Barack Obama elected President, since in many ways, he helped to pave the way to make that possible. Rest in peace, Dr. Franklin. You lived your life well. May we all strive to do the same. Wouldn’t you want to know the methodology and make up of the respondents to that 1929 survey? I’m noting how Washington, a southern white slaveholder, had the most prominence. Also, like many naming their children after the hero Lafayette following the Revolutionary War, I bet an overwhelmingly greater proportion of children were and are named after Robert E. Lee vs Lincoln in the South. I also recently watched the Hollywood movie Sante Fe Trail which portrayed a unified white nation against abolitionism in ante-bellum America. I thought it was interesting in that it was made in 1940. What does this tell us about Hollywood and their perceptions during this time? I would love to know a bit more about the methodology used for this survey, but I do think the results are interesting nonetheless. I would suggest that you do some research to confirm your assumptions re: the number of children in the South named for Lincoln and Lee. Santa Fe Trail is a dynamite movie. Your observation that points to a general suspicion of the abolitionists is right on. Most white Northerners were not abolitionists and many, including Lincoln, believed they caused more harm than good. I forgot to mention the large number of roads, dozens of schools, scholarships, natural parks, and business parks named after Robert E. Lee. He truly gives Lincoln a good run, and dominates the South. I even found a Robert E. Lee school in Idaho as well as giant Sequoia trees named after him in CA’s Sequoia and Kings Canyon National Parks. This should present a significant challenge to those misguided progressives who want to rename all things Confederate. I checked A. Lincoln as well. Unsurprisingly, Illinois is infatuated with him and has named similar institutions after him. Indiana and Kentucky also have many schools named after him. There are about 7 schools in the South named after him. I would be interested in the location of these. Lee’s reputation is securely established throughout the country. This was accomplished by the early twentieth century. Of course, I never meant to deny this. My point is that our tendency to oversimplify in our distinctions between how northerners v. southerners often obscures the complexity below. It turns out that Lincoln’s place in the pantheon of American heroes is not to be understood simply as a northern phenomena. White and black Southerners have a long history of reverence for Lincoln. Schwartz’s study establishes this beyond a shadow of a doubt. It is an oversimplification to reduce those interested in changing the names of buildings as “misguided progressives” since the people that have called for such measures fall along a wide political and cultural spectrum. I hear you Kevin. Maybe I should have just said misguided.